We must advise that when selecting a link below YOU WILL BE LEAVING THE CREDIT UNION’S WEBSITE and linking to a website NOT operated by the Credit Union. The Credit Union is NOT responsible for the content of the alternate website, liable for any failure of products or services advertised on those sites, does NOT endorse or guarantee the products, information or recommendations provided by the linked sites, and does NOT represent the third party or the member if the two should enter into a transaction. Please note that the privacy and security policies may differ from those practiced by the Credit Union; therefore, the third party website may provide less security than the Credit Union’s website. 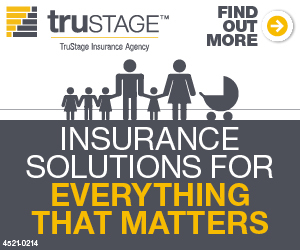 Low cost Auto/Home/Life/AD&D insurance from truStage! Taxes done right with TurboTax! Get discounts when you shop at lovemycreditunion.org! The following forms are available for your convenience. Please print and complete any applicable forms and fax, mail or email them to our office so that we can promptly complete your request! To keep your personal information private, please only fill in the LAST 4 DIGITS of your social security # when it is requested.